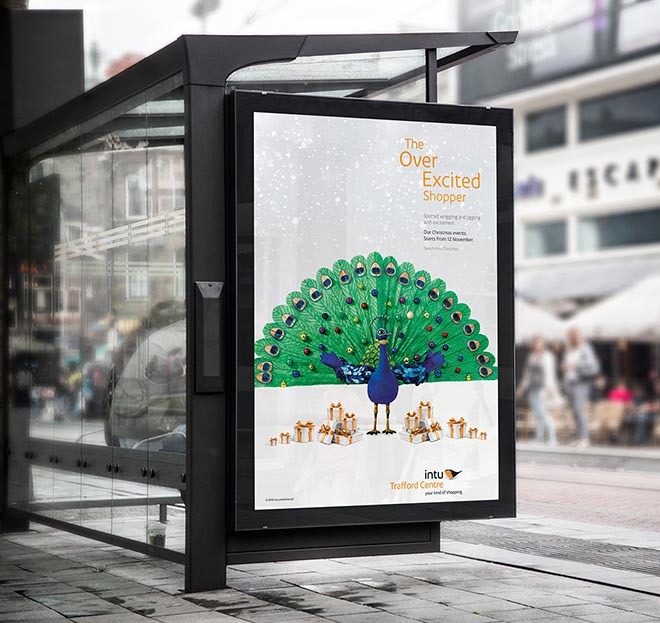 UK retail chain Intu is using bird puppets to promote Christmas shopping in stores. A range of Christmas shoppers are portrayed in a department store setting by large puppets handled by four puppeteers dressed in white: a mother duck with her ducklings, the last minute rooster shopping with fear, a bargain hunter eagle, a me-me-me pink flamingo, a window shopper swan, an excited peacock and the wise shopper owl. Intu’s logo bird appears at the top of a white Christmas tree, looking down on the peacock. 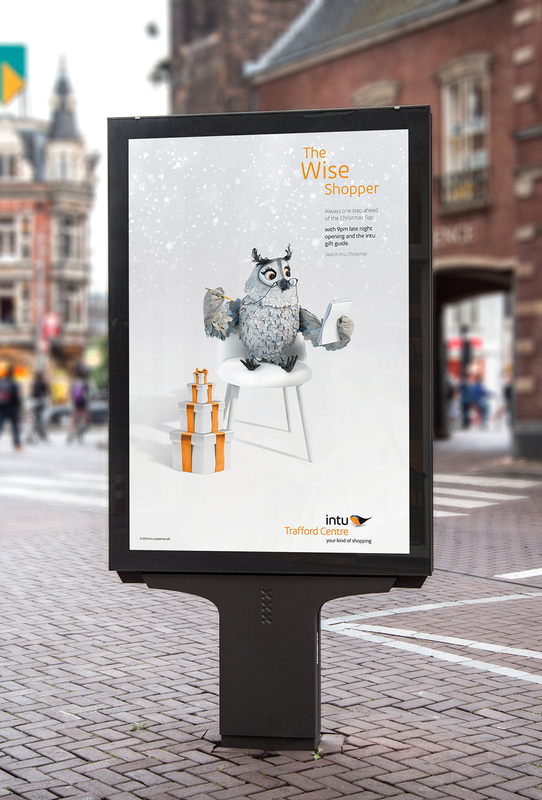 The Intu Your Kind of Shopping campaign includes out of home advertising and digital elements. The Intu Your Kind of Shopping campaign was developed at Now Advertising, London, by executive creative director Remco Graham, copywriter Juliet Kent and art director Clint Harding, head of film and content Jeremy Muthana, planner Amelia Wood, account director Jack Howker and account manager Katy Strange. Filming was shot by director Joseph Mann via Blinkink with director of photography Matthew Day and producer Ben Role. Editor was Max Windows at Stitch Editing. Post production was done at Finish. Sound and music were produced at Wave Studios. Music was by Simon Pegg. Media was handled at Blue 449.